Josip Broz, nicknamed Tito, (May 25, 1892 – May 4, 1980) was the leader of the Socialist Federal Republic of Yugoslavia, from 1945 until his death. From 1945 to 1953 he was Prime Minister, and from 1953 to 1980 he was the President. 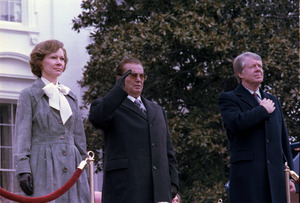 His funeral on May 4, 1980, was the largest state funeral in Yugoslavia. 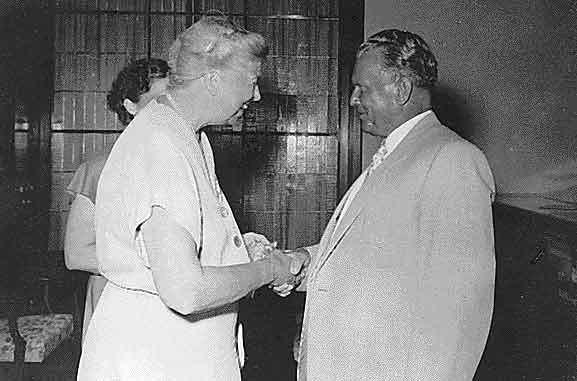 Tito was a controversial person, with people having strong and different views about his leadership. Tito was born in Komrovec, Croatia, where his parents had a small farm. He went to the village elementary school until 1905. In 1907 he was machinist's apprentice in Sisak. In 1910 he joined the union of workers and social-democratic party of Croatia and Slavonia. In 1913 he entered the Austro–Hungarian Army and later was imprisoned for anti war propaganda. During World War I he was wounded, captured, then imprisoned by Russians. After being set free, he became active in the bolshevik movement. After October Revolution, he joined Red Guards (Russia). 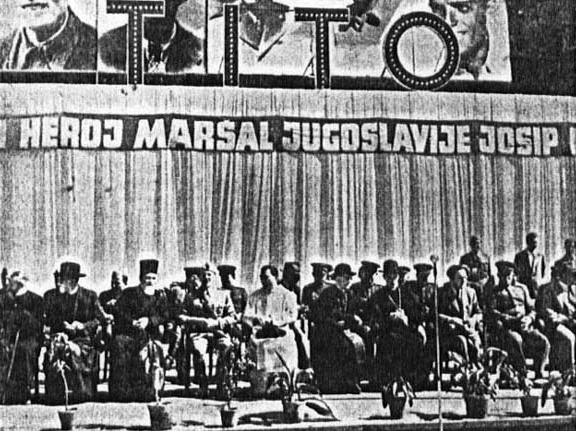 In 1920 Tito came back to new nation Yugoslavia and joined Communist party. This was later renamed Yugoslav Communist League in 1952. Tito was the leader of the Communist party from 1937 until his death. In 1921 the Yugoslav communist party was banned. Tito was imprisoned from 1928 until 1933 for being a communist. In 1934 he went back to Soviet Union and he was involved as secret agent in NKVD. 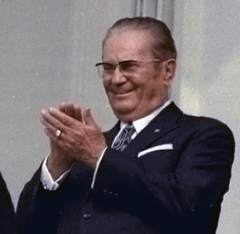 Tito with communist dictatorship, dramatically supported by spy ring OZNA and political police UDBA, ruled Yugoslav Republic from 1945 to 1980: he banned monarchy and all democrat parties.He with other political personalities started Non-Aligned Movement. When he died the political situation was controlled by other chiefs of communist party. Later situation led to the break up of this Balkan country, and wars in Croatia, Bosnia, Serbia, Montenegro, Macedonia and Slovenia during the 1990s. Josip Broz Tito Facts for Kids. Kiddle Encyclopedia.